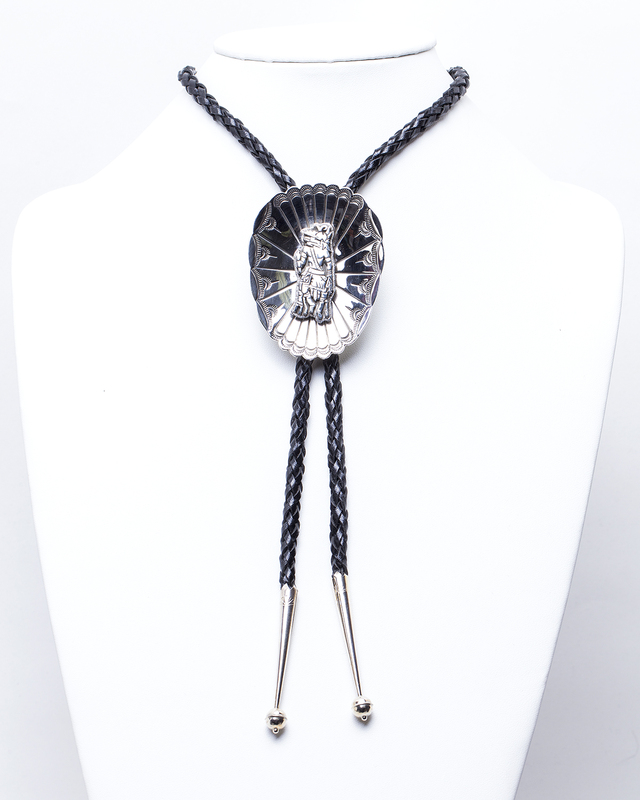 If you’re needing a bit of rain, bring out your Antelope Kachina Bolo Tie! The Antelope Kachina dances during certain ceremonies to increase the chance of rain! Kachinas are a vital part of Native American culture as they help to insure life cycles continue properly. 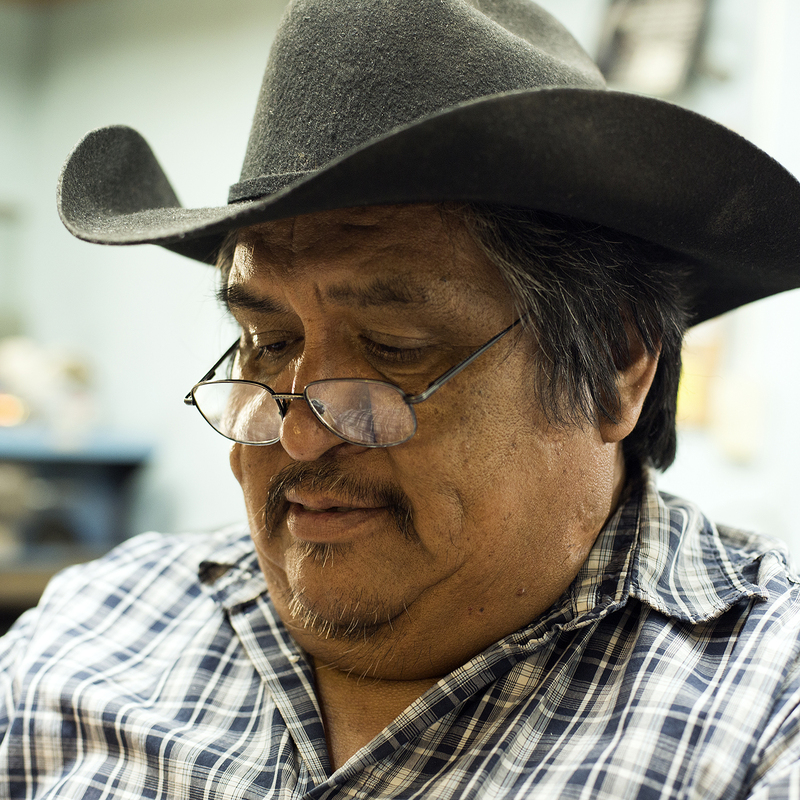 This Antelope Kachina bolo tie was handcrafted by our in-house artist and silversmith, Henry Yazzie. 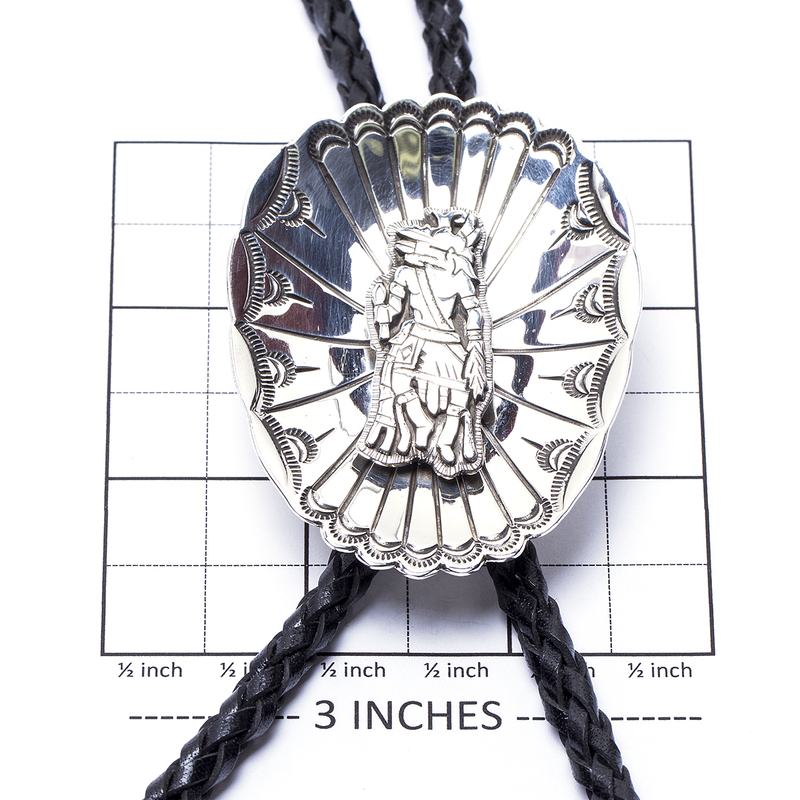 The bolo tie measures 2 3/4″ high by 2″ wide and has a “figure 8” clasp on the back. 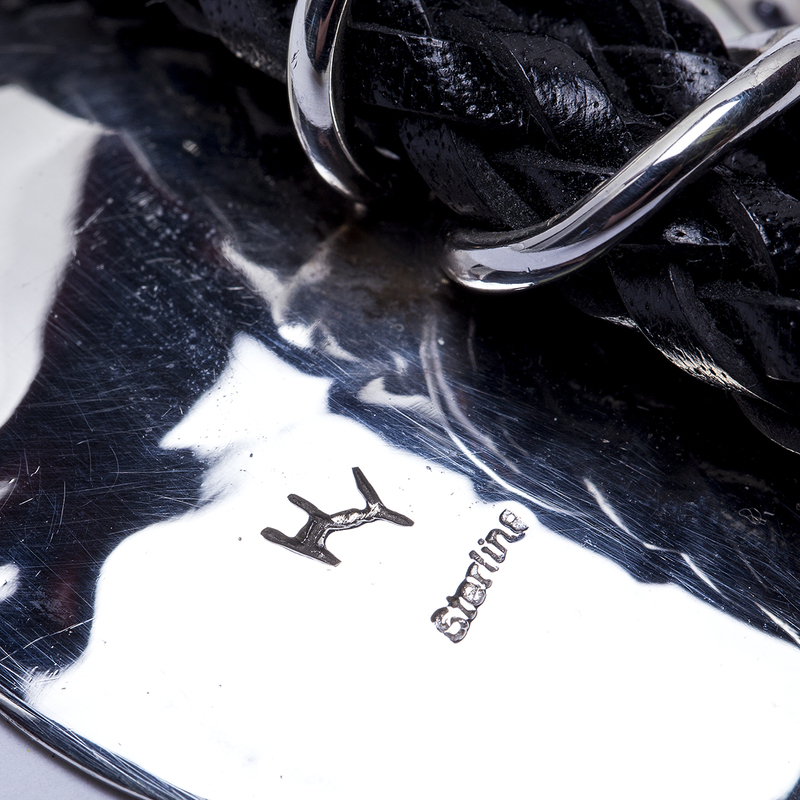 It is hallmarked “HY” and “Sterling”. The 6 ply black leather cord measures 42″ end to end and is finished with 2 1/4″ Sterling Bead tips. Bolo weighs 57.0 grams. Let’s wrap this deal up for you with our complimentary gift wrapping service with your purchase today – just ask! 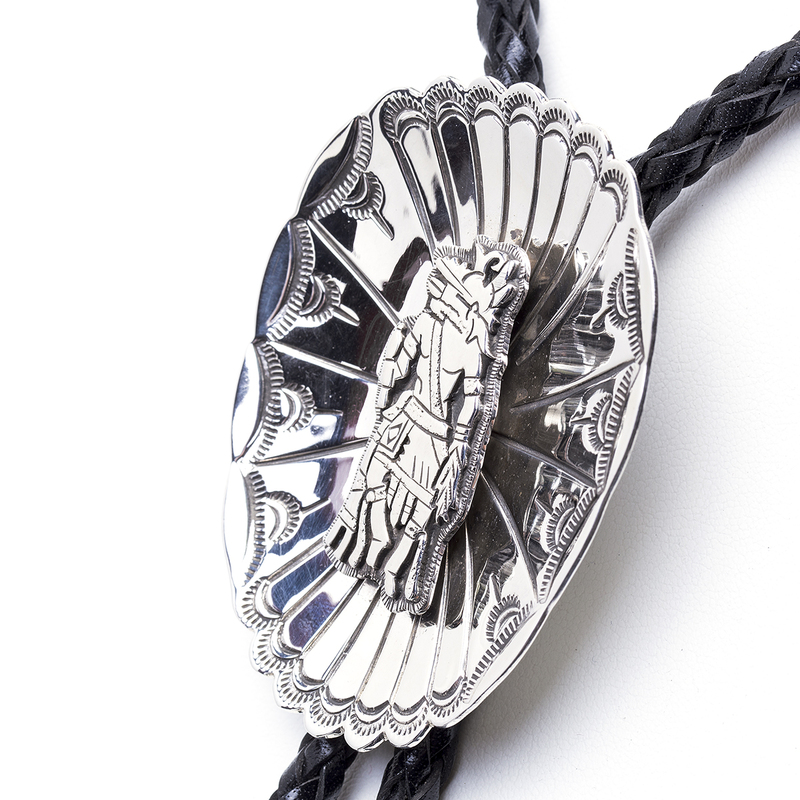 Navajo Henry Yazzie Kachina Bolo Tie showcases the skill of our own in house artist and Silversmith, and features an Anetlope Kachina in Sterling Silver!